Often people tell me that they aren’t sure what wine to buy for gifts or that they don’t know how to pick a good bottle of wine out or that they aren’t wine drinkers so they are clueless about what to buy. 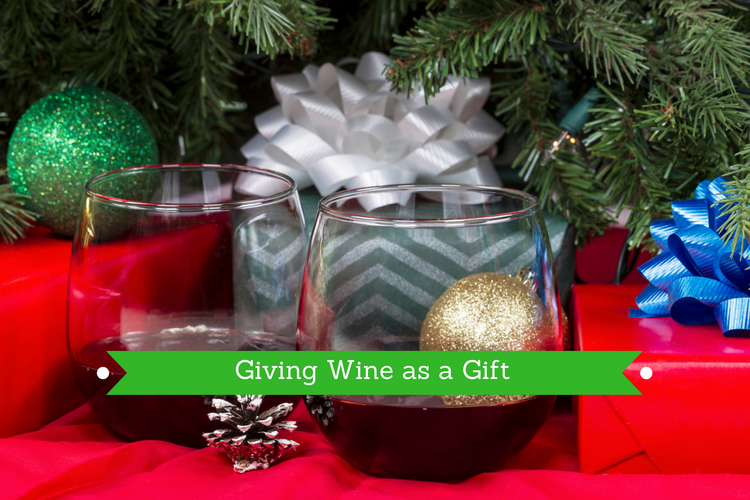 But buying wine as a gift doesn’t have to be overwhelming. The holidays are the perfect time to buy wine in bulk. You will likely be going to lots of parties and a bottle of wine is the perfect gift to bring along. It’s also great to have on hand in the event someone you weren’t expecting gives you a gift. Buying wine in bulk at the holidays is a great idea if you intend to give a lot of wine as gifts. You should buy wine by the case, most liquor stores will let you make a mixed case where you pick and choose which bottles you want in your case. When you buy wine by the case, most stores will give you a discount, typically about 15% off. Buy a mix of white and red wine, there are some people who only drink white wine or those that prefer red wine. So make sure to buy a mix of both, especially if you are bringing wine to a holiday party. For gift giving if you aren’t sure if a person likes white or red give an inexpensive bottle of both. Champagne, prosecco or sparkling wine are always fun and festive choices for any holiday party or to give as a gift. Sparkling wines aren’t the type that people always treat themselves to or bring to a party so it’s a good pick if you are looking for something a little different. “Well I tend to drink cheap wine, so I wouldn’t know how to pick something for someone else…” Sound familiar? Well here’s a secret, most people drink inexpensive wine, typically under $15-$20 a bottle. Give a bottle that you like,even if it’s $8.99 a bottle. One of my favorite wines is $8.99 a bottle and I’ve brought it to parties where people have raved about it, and I’ll proudly tell them how much it costs. People don’t want to fall in love with a wine only to find out it’s $50 a bottle, they want to find a wine they like and can buy again. And it should be a compliment that you can find them something that they love and is accessible to them. I don’t know about you but I’ve never brought a $50 bottle of wine. If there is a wine you swear by or that you simply enjoy then go with it for a gift. No need to question if they will like it, giving something you love and enjoy is always a good idea. Make sure to tell the gift giver why you picked it. Did you bring it to dinner before and they enjoyed it? Did you serve it to rave reviews at last years holiday party? Has it been your favorite for years? People love to know why you picked something, because it means you put thought into the gift. You can almost never go wrong giving a bottle of Cabernet, the same thing can be said about a bottle of Pinot Grigio. They are popular varietals for a reason. Look for wine labels that you often see at restaurants Estancia, Mark West, Chateau St. Michelle all are frequently on menus for a reason, people like them. Most stores now have someone who is wine expert on staff. You can simply tell them what you like or what you are looking for and a price range and they are sure to find you something great. Or simply say, “can you find me a bottle that would make a great gift for under $20” and I’m sure they will have something in mind. Looking for something more to give than a bottle of wine? Check out these gifts for wine lovers.